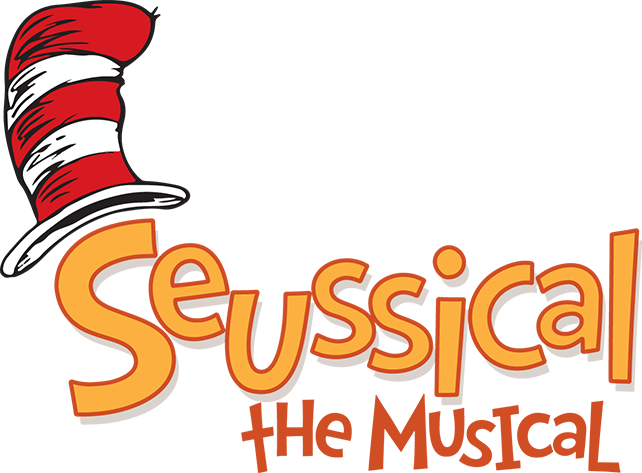 Thursday, May 3 - 7:00 p.m., Friday, May 4 - 7:00 p.m., Saturday, May 5 - 2:00 p.m. and 7:00 p.m.
Seussical is a musical play based on the works of Dr. Seuss. Come see his characters come to life as Fremont High School Theatre brings them from the page to the stage. The Cat in the Hat tells the story of Horton, an elephant who discovers a speck of dust containing Whos, including Jojo, a Who child that’s been thinking too many “thinks.” Horton faces a double challenge – not only must he protect the Whos from a world of naysayers and dangers, but he must guard an abandoned egg, left to his care by the irresponsible Mayzie La Bird. Although Horton faces ridicule, danger, kidnapping and a trial, the intrepid Gertrude McFuzz never loses faith in him. Ultimately, the powers of friendship, loyalty, family and community are challenged and emerge triumphant. Click here to purchase tickets! Adults $15, Students $10, Children 5 and under $5. Main Stage. General admission seating. The Dogwood Summer Youth Theater will present the classic story, Robin Hood! Auditions will be held at the Dogwood Center Black Box. Youth ages 12 and up are invited to come and try out on either Thursday, May 10 from 5:00 - 7:00 p.m. or Sunday, May 13 from 1:00 - 3:00 p.m. Casting calls for at least 21 male and female roles with room for many extras. Who doesn’t know the story of Robin Hood and his merry men? Well, you can forget all about it. This version of Robin Hood is a hysterical, sprawling, action packed drama. Besides cleverly retelling the legend, the author has created roles that challenge and reinvent the myth. Including a wise cracking, superior swordsperson in Marian and a Robin who only by chance finds himself a hero. But true to the legend, all ends well; the Sheriff’s sleazy scheme to wed young Ellen fizzles, King John’s vicious taxes are rescinded, the Sherwood Foresters are finally legitimized, and justice descends on England’s green and pleasant land. The Dogwood Summer Youth Theater will be directed again by Chelsea Webb. The performance dates for Robin Hood are July 27 and 28. For more information please contact the Dogwood Center at 231.924.8885. May 11 - Wellspring Dance - 7:30 p.m.
Wellspring Dance of Kalamazoo will bring modern dance to the Dogwood Center! The performance will feature new works and classic Wellspring repertory. One of the dance selections, “Citadel” describes the difficulty humankind has in coming to consensus within our communities, and includes a beautiful piano score by Chad Lawson. The program will also include a flowing quartet, “Now is the Masterpiece,” originally performed at RADFest 2017. Cori Terry, Wellspring’s founder and Artistic Director, was born in Brooklyn and attended the State University of New York at Stony Brook. She completed her dance training in New York City and joined the Erick Hawkins Dance Company in 1974. Cori performed and taught in major cities throughout the United States and Europe. In 1980, Cori came to Kalamazoo as artist-in-residence at Western Michigan University. Then, in the 1980-81 season she formed Wellspring/Cori Terry & Dancers. 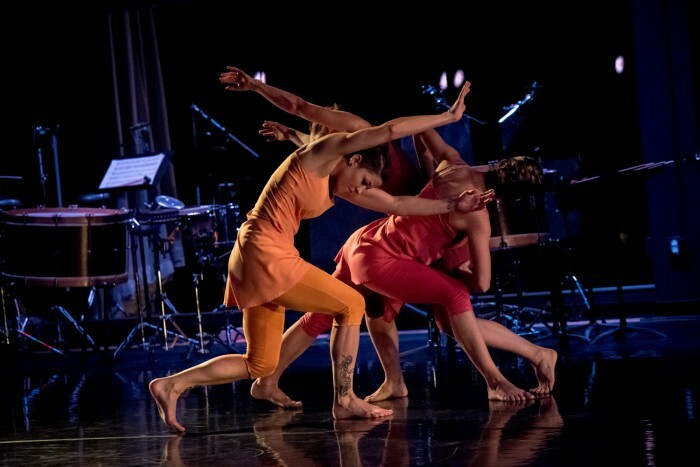 Highlights of Wellspring’s history include critically acclaimed performances and collaborations with Artichoke Dance Company and Naumburg-winning eighth blackbird of New York, Zephyr Dance and XSIGHT! of Chicago, Susan Van Pelt from the University of Ohio, Detroit Dance Collective, Eisenhower Dance Ensemble, Ariel Dance Company, Kalamazoo Symphony Orchestra, Fontana Chamber Arts and Cavani String Quartet. Click here to purchase tickets! Tickets $15.00. Main Stage, General Admission. 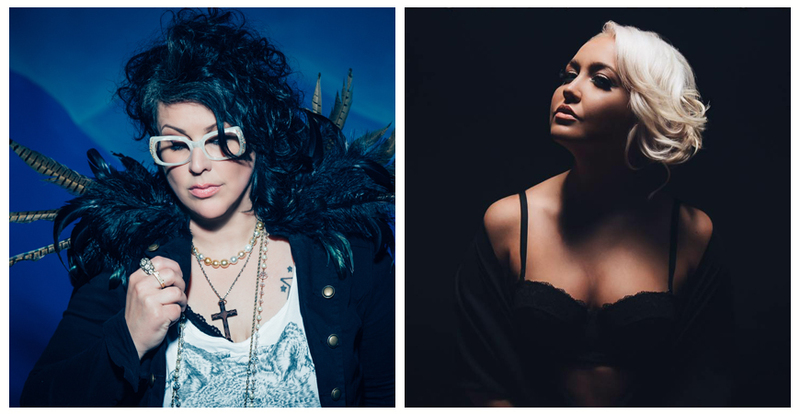 7:30 p.m.
May 18 - Sarah Potenza and Meghan Linsey - 7:30 p.m. Both Sarah Potenza and Meghan Linsey have made a name for themselves since competing on NBC’s “The Voice” in 2015 and gone on to wow audiences across the nation, each with a powerfully soulful and distinctive voice. Click here to purchase tickets! $20. Black Box. General admission seating. 7:30 p.m. Tables can be reserved with the purchase of eight tickets.